The Tonight Show with Jimmy Fallon is usually wrapped up by a performance from a buzz-worthy musical act, and last night featured not only one, but five. 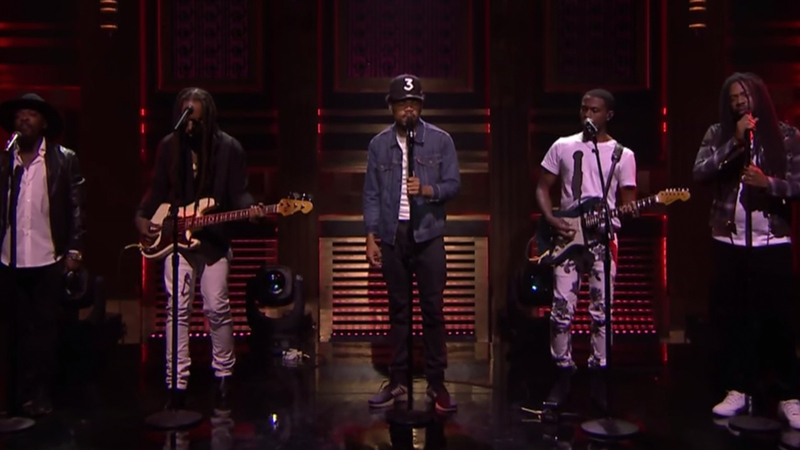 Chicago-bred MC, Chance the Rapper, took to the Fallon stage to unveil a soulful, gospel-infused rendition of his Coloring Book closer “Blessings (Reprise)”. The rapper chose to make it a night for the books by bringing out Ty Dolla $ign, Anthony Hamilton, D.R.A.M. and Raury to help with backing vocals, bass, and guitar. As if the audience members weren’t already on their feet, the rapper closed out the performance by adding an ethereal choir into the mix, who soulfully belted out the track’s refrain from the aisles. In case you’re wondering, yes, our souls have been cleansed. Watch this stunning performance from the “Acid Rap” crooner, and make sure to track him on Bandsintown to make sure you never miss one of his live shows.